Artificial Intelligence (AI) has become a popular research topic recently. 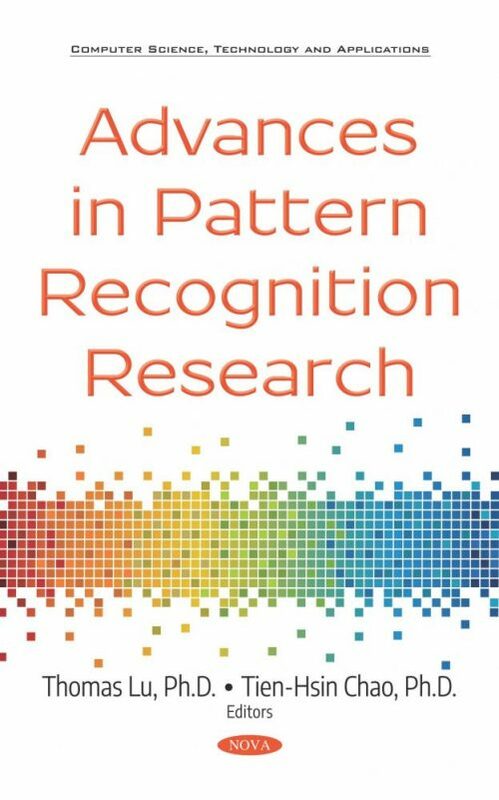 Pattern recognition (PR) is an important part of an AI system. If the AI is considered as the digital “brain”, then the PR is the visual and auditory “cortex” that converts the optical signals from the eyes and the acoustic signals from the ears to meaningful symbolic texts that the brain can digest. Over the past 40+ years, the processing speed of a digital computer has increased from kbits/s to tera floating point operations per second (TFLOPS), a 109 times acceleration. PR research has made significant advancements along the advancement of digital hardware, especially the graphical processing unit (GPU) technology that helps the rapid processing of complex images. In this book, the authors have collected the latest work from leading researchers in the PR fields. The topics are broad, which include optical implementation of various filters, digital implementation of state-of-the-art neural network (NN) training methods, and the latest deep leaning (DL) models. We also included applications of PR in various fields. In Chapter One, an optical implementation of an advanced multi-stage automatic target recognition (ATR) processor is introduced. The grayscale optical correlator (GOC) has been implemented in a compact and rugged 2x2x2 inch3 cube. It is the world’s smallest optical correlator. Combined with a neural network (NN) classifier, the system becomes an efficient embedded vision system that learns to detect multiple targets embedded in large images with unknown backgrounds. The deep neural network (DNN) learning model has become a phenomenal research topic. In Chapter Two, state-of-the-art DNN architectures are introduced. Applications of DNN in object segmentation, recognition and augmented reality are presented. In Chapter Three, recent trends on invariant pattern recognition via joint transform correlation (JTC) are presented. Enhanced correlation filters such as logarithmic fringe-adjusted filter (LFAF), phase-encoded fringe-adjusted JTC (PJTC), shifted PJTC (SPJTC), Gaussian filtering based SPJTC (G-SPJTC) and Gaussian filter based logarithmic fringe-adjusted JTC (G-LFJTC) are discussed and tested for face recognition and texture identification. In Chapter Four, a class of optical synthetic filters, the optimal trade-off maximum average correlation height (OT-MACH) filter is investigated. The spatial domain OT-MACH (SPOT-MACH) filters are compared to the frequency domain filters for PR in infrared (IR) images with poor contrast or large illumination gradients. Cyber security has become an important research topic. Most cyber-attacks follow a certain pattern. Chapter Five discusses the applications of DL models as a PR technique to exploit this underlying characteristic of the cyber-attack data in information security. Chapter Six discusses the recognition of handwritten numerals in the Modified National Institute of Standard (MNIST) database using probabilistic neural network (PNN) models. Chapter Seven discusses several training methodologies of the artificial neural network (ANN) models. In Chapter Eight, the ANN training models are used in extracting spatial features for printed characters recognition.